Regardless of whether you are visiting Maui, Kauai, Oahu, Molokai or the Big Island, you'll need a few very specific items in your suitcase. Learn about our suggestions for what you might like to take with you on your trip to the Islands. Kauai is a truly beautiful island, although the south-side is generally drier and boasts more sunny days per year. Oahu is an island of micro-climates. Expect the unexpected. The Big Island is known to have a wet side (Hilo) and a dry side (Kona). Maui is the most temperate Hawaiian Island. Only the far, Northwest corner sees typical moisture during Winter months. "Sunny and 75º today" in Molokai. What is Island Time? Truth is, we never actually answer this. Everyone is welcome in Hawaii. This includes all the islands in this wonderful Pacific chain. Is Motorcycle Rental for Me? Motorcyclists are always seeking out unique and beautiful places to ride. While Hawaii is certainly unique and beautiful, it’s not easy to get your motorcycle over here. So why not rent a bike while you’re here to experience paradise. You are steering around a hairpin turn with the intoxicating scent of the rainforest filling your head. The view? A waterfall churning, and an African tulip tree bursting in bloom. You really can have this thrilling experience on Route 360, aka the Hana Highway. Humpbacks are most popular of the more than half dozen Baleen whales that migrate to our islands. The best months to spot Humpbacks are December to April, although they may be spotted as early as October and into May. Through personal experience we learned that having an additional driver named on our rental car contract adds flexibility to our vacations. We were among those who thought we’d never need an additional driver. Read our popular insider tips for renting a vehicle in the Hawaiian Islands. We rent vehicles in Hawaii-- nothing else. To some, this philosophy may seem to be a simplistic business model. We don’t think so. While other “big box” websites offer lodging, flights, entertainment etc. we are able to focus solely on each customer’s car rental needs. Often we believe that our insurance, whatever it is that we have, will always provide needed coverage, without really understanding our policy itself or, that policies significantly differ. Frequently, our customers ask us to provide a special car rental rate-- just for them. While we respect island residents who request popular Kama’aina rates and travelers who expect discounts for having memberships. Should I Rent a Jeep in Hawaii? Jeep Wranglers are one of our most popular rentals, with the four door Jeep Wrangler Unlimited being the second most rented SUV. We feel the convertible nature of the Wrangler is a huge benefit. 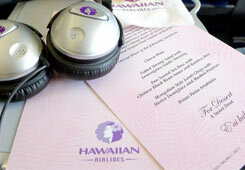 This offer is for international travelers to Maui, Oahu, Honolulu, Kauai, Hilo, Kona, and Molokai. If your driver's license is from outside the USA or Canada you can use the search feature to find all-inclusive car hire rates including insurance options. Travelers to Hawaii now have one more choice to make. Rental cars powered by bio-diesel are now available In Maui, Hawaii. Environmentally safer than traditional gas powered vehicles. Both Thrifty and Dollar rental cars have inked deals to provide navigation systems for their car fleets. This article is equal to shameless self-promotion. We recently launched the mobile version of AlohaRents.com. A new study by Avis Rent A Car, has found that frequent business travelers waste as much as three hours or more of an average three-day trip stuck in traffic jams, lost while driving, trying to find a wireless and more. Enterprise Rent-A-Car, National Car Rental and Alamo Rent A Car offer their customers the opportunity to benefit the environment by offsetting the carbon dioxide (CO2) emissions that are generated by an average vehicle operating in our rental car fleet. 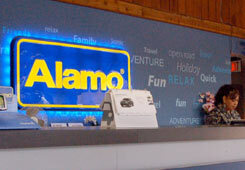 Alamo Rent A Car has expanded their business to meet customer demand and improve car rental services on the island of Molokai in Hawaii. If you are traveling by cruise ship, we recommend booking through our automated system. Frequently, our customers come to the islands to enjoy short-term work opportunities, extended surfing vacations or, simply to escape winter. These stretched out stays can last for a few weeks or several months. We are able to offer you substantially discounted savings for those longer rental periods. With all the great activities and fun things to do in Hawaii, there may be some days where all you feel like doing is spending a lazy day lounging on a sunny beach with warm sand beneath your feet. Why not drive your rental car out to one of the several island coffee plantations during your visit to the islands? Coffee production is an extremely important and successful industry to the islands. Drive one of our rental cars to the world’s largest surfboard fence was first created in 1990 in preparation for an approaching hurricane. The functional fence of colorful recycled surfboards has been growing ever since. Rumors put the the number of boards at 500+. Removable tops are available on all of our two and four-door Jeep rentals. They are a fun bonus for those who want to smell the salt air and feel island breezes in their hair. One of the advantages of driving a rental car in the Hawaiian Islands is that you can comfortably transport the delicious produce sold in the islands' farmers' markets. A helicopter ride ride over Hawaii is an experience unlike any other. A luau is actually a Hawaiian feast. 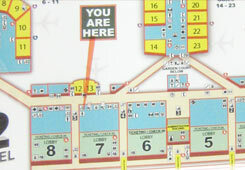 It usually features food, such as kalua pig, poi, poke, lomi salmon, haupia, and beverages. The festivities also include entertainment, such as Hawaiian music and hula dancing. 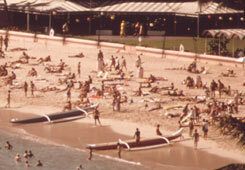 The name "luau" goes back, "at least to 1856. One of the most simple and relaxing ways to discover the more remote areas in the Hawaiian Islands is by horseback. Knife edge ridges, towering green cliffs covered in lush vegetation, deep valleys and canyons, thick jungles full of exotic plants and flowers. If you really want to immerse yourself in the spirit of the Hawaiian Islands, a bicycle tour is one the best ways to do it. You’re surrounded by all sights, smells and sounds of the islands. The Hawaiian Islands are truly a golfer’s paradise. The islands almost seem to be made for golf, with ideal weather year-round, fertile soils for growing the greenest of turf grass, and unmatched scenery and . . . Learn more about Duke Kahanamoku and his legendary swimming ability which helped him to obtain multiple Olympic medals in the early twentieth century. Affordable, fully-equipped Hawaii vacation cottages near the best white-sand beaches of the Kohala Coast on Hawaii's Big Island. Book an owner vacation rental and save! Figuring out where to stay on the islands should be done with careful consideration. Before you book a room and then a rental car and a plane flight, we recommend that you take time to contemplate your visit to the Hawaiian Islands. Staying in the most appropriate accommodations will make your visit in paradise even more rewarding. This convertible offers amazing trunk space! A few years ago we rented a Chrysler Sebring Convertible to experience its performance on island roads. For those of you who like to save money, one more option to do so is about to end for rental car customers in the Hawaiian Islands. For the last 2 months I've been reading on the Maui forum preparing for a trip with my 17 year old daughter. The State of Hawaii charges a few mandatory fees which cannot be avoided. Customers commonly write and ask about the details of these fees. Traveling between all of the Hawaiian Islands by boat is not a new idea. The ancient Polynesians, with their amazing courage and genius for navigation, first commanded these waters many centuries ago. Traveling to Kona can be one of the most unforgettable trips that you can ever have in your lifetime. These are other resources that we have located. These will help you plan your travels to Hawaii and beyond . . .
An excellent resource for all things Hawaii. Information and articles about all the islands of Hawaii. Updated every 5 minutes throughout the day and night. Peruse current articles about the State of Hawaii. Governor Neil Abercrombie has signed into law rental car tax increases of 2011 passed by the state Legislature. Hawaii is one of the states which employs fixed-rate taxes for the vehicle rental industry. From the islands to Florida, we now offer our customers a choice in FL. Many travelers from the Eastern Seaboard would rather go to Florida than make the long flight to Hawaii. Plus, it is more affordable to fly south 1-3 hours time. Fans and customers are getting together on Twitter. 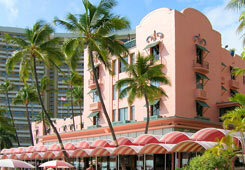 Featuring news and upcoming deals for car rental in the Hawaiian Islands.